A LONG WAY HOME is now in French! 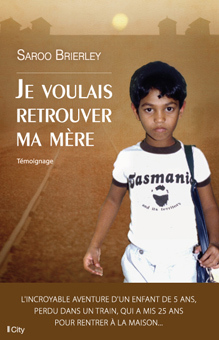 The French edition of A LONG WAY HOME (Je voulais retrouver ma mère) has just been published by City Editions. Production of Lion, the film based on Saroo Brierley’s story, will begin shooting in India in January. Dev Patel (Slumdog Millionaire) will star, with Nicole Kidman playing Saroo’s adoptive mother. Previous Post Break out the bubbly! Next Post More Kudos for THIS ONE SUMMER!! !